Agmatine Sulfate is a natural metabolite of Arginine. It is created in the body when Arginine undergoes the process of decarboxylation – hence Agmatine is sometimes referred to as decarboxylated Arginine. Agmatine Sulfate is involved in regulating processes in the nervous, urinary, endocrine and reproductive systems. Daily recommended dose is 1g - 1/3 of a metric teaspoon. Store in a cool dry place and replace lid after use. 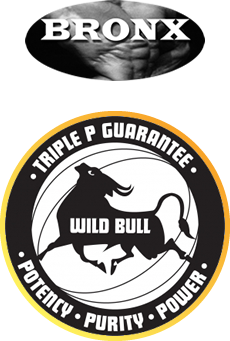 Bronx Wild Bull Pure Agmatine Sulfate contains no fillers, artificial flavours or sweeteners, no caffeine, no added yeast, soy, dairy or gluten, JUST PURE WILD BULL. 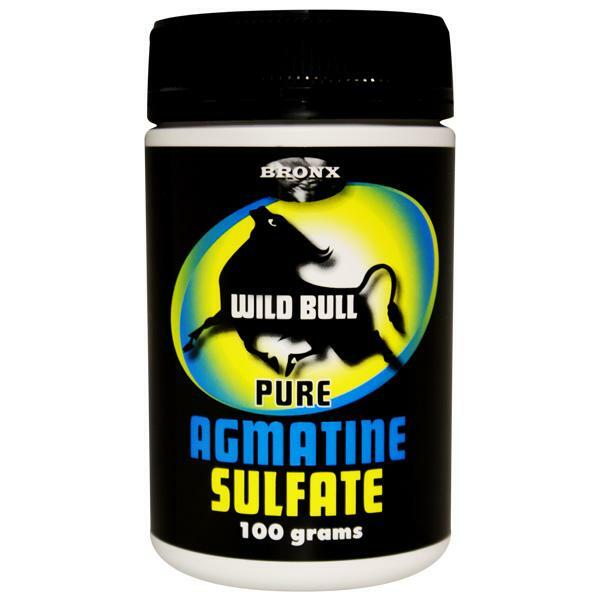 Bronx Wild Bull Pure Agmatine Sulfate is suitable for vegetarians and vegans.